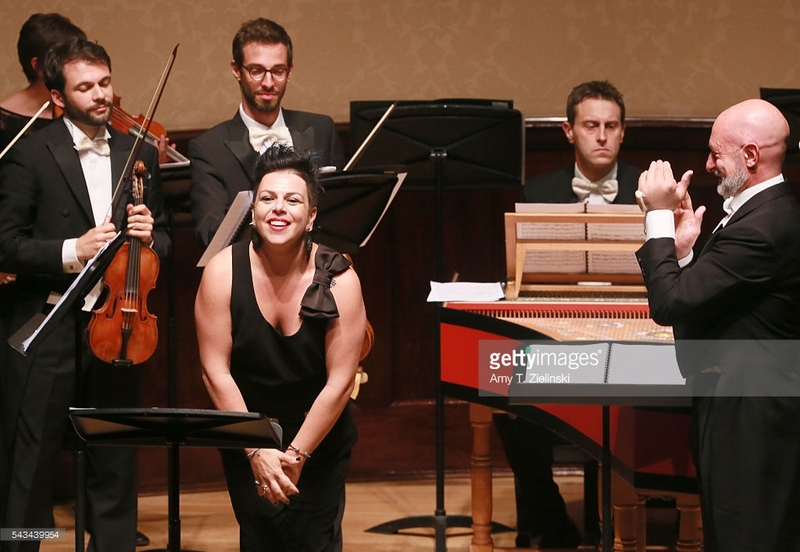 Sonia Prina is one of the most colourful personalities in the world of Baroque music (which is saying something), and although I’d seen her on DVD as the warrior queen Partenope and the scheming vizier Artabano, I hadn’t heard her in the flesh until Tuesday at the Wigmore. Here she treated us to a programme of sparkling, mostly pre-reform Gluck. Performed with panache and a glorious disdain for convention, it was quite an experience. I’m used to recitals where the ladies come on in gorgeous satin or taffeta gowns or, at the very least, trousers and a fancy jacket if they’re pretending to be a man. And so I loved Prina instantly for having the guts to swagger onto the Wigmore stage with spiky, green-tinted hair, black trousers and tank top, diamante-studded belt and massive earrings. Next to the sedate, tail-coated figures of conductor and orchestra, she looked like she’d dropped in from a punk concert, and she sang to match. The outfit set the stage for a swaggering, take-no-prisoners performance which almost single-handedly disproved the notions that Baroque music is safe, polite or, God forbid, dull. In speaking of Prina, I have to consider two aspects of her performance: vocal and dramatic. She has a very unique and distinctive style of delivery, which is something of an acquired taste. Her low notes are strong and sumptuous (as you’d expect from a contralto), but the higher notes, on occasion, feel slightly pushed, especially during the formidable, scatter-gun coloratura which is her trademark. However, in the slower, more lyrical sections of her chosen arias her voice proved to have a warm, husky grace and – rather as with Franco Fagioli, in fact – I sometimes felt I could appreciate her quality better when she resisted the urge for excessive ornamentation. But. But. But. Those gentler arias aren’t what Prina enjoys doing, and to be quite frank, they’re not what her audience – or I – really want from her. No. With this magnificent woman on the stage, we want a performance. We want her to go in, all guns blazing, taking on the fury and the rage of a storm aria with the ferocity of a US Marine negotiating an assault course. And that’s where the drama comes in: I genuinely can’t think of a singer who’s more fun to watch. Prina is captivating, energetic, dynamic and expressive. She came swashbuckling in to each aria and wrestled it into submission, in an intensely physical performance which meant the overall effect had an appeal far beyond the sum of its parts. 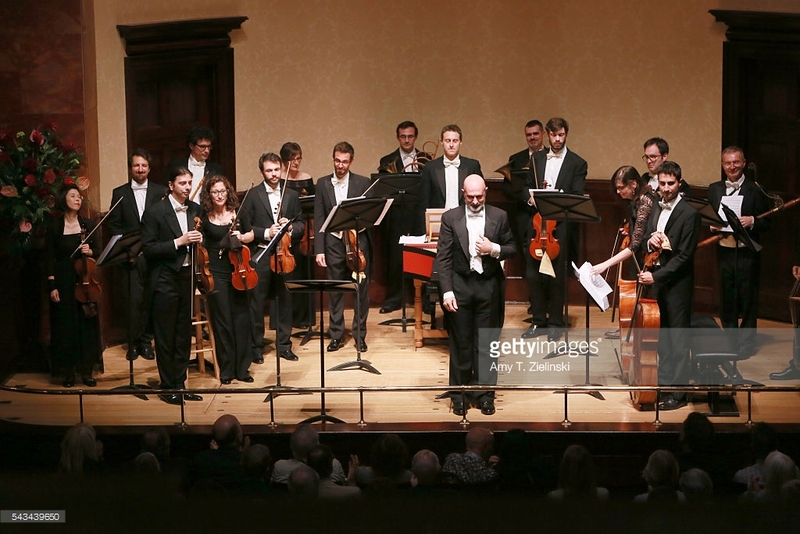 The audience was energised and engaged: the curtain call was on the raucous side for the Wigmore Hall, and we went buzzing out into the grey and drizzly night. For many years, I associated Gluck solely with Orfeo. My Baroque adventures have already gone some way to correcting that, thanks to the CD recording of his charming Clemenza and the Antigono which I saw last year. This concert only confirmed that, in the years preceding his famous ‘reform opera’ he was a composer of dynamic arias and spirited, gorgeously catchy sinfonie (operatic overtures). We began with the sinfonia from the comic opera Le cinesi (1754), which was appropriately sprightly, with vigorous sweeps on the cello and bass punctuating the opening allegro, and la Barocca skipping along at a fine pace. The central andante was rather more sedate, but the music blossomed again in the closing allegro molto, which jubilantly cantered along to the finish. Prina made her entrance for Dal suo gentil sembiante, a romantic aria from Demetrio (1742). The first thing I noticed was that she has one of the more powerful voices I’ve heard at the Wigmore: it reached the back of the hall with no trouble and she was never in danger of being swamped by the music. This was a gentle start, lulling us into a false sense of security perhaps. There was some swooping ornamentation, of course, but for the most part it was heartfelt and expressive – and I mean that not just in the vocal delivery, but also in the very dynamic, gestural nature of the presentation. The gentleness gave way to the first of a number of very pleasing rage arias, in the form of M’opprime, m’affana from Sofonisba (1744). My eyes widened: God, this Sofonisba was angry. You wouldn’t want to be the cause of her fury: she’d take you out. The energy, the expressions and the manic, whirling rage of the music were a formidable combination. The performance may have been driven more by force of personality than by splendour of voice, but by heaven, it was brilliant! While Prina retired for a well deserved rest, la Barocca took over again for the sinfonia to Ipermestra (1744). Again, the allegro was foot-tappingly catchy. Gluck could definitely write a good tune. We were swept up in a joyful whirl of strings and horns, with descending cadences at the end like church bells ringing down. As ever, the andante offered a moment of more serious delicacy, a chance to catch our breath, and then we were off again with a gloriously romantic presto, straight into a horn-assisted whirl, with an almost waltz-like tempo. It would have been great for dancing. Prina returned for Nobil onda, also from Sofonisba. Her expression changed immediately, fixing her in the mood and moment: she’s the kind of singer I particularly like, who anchors herself emotionally in whatever she’s doing. And off we went. Again I had cause to note that she was very comfortable with coloratura. There was a lovely rippling melody for the line ‘Più ch’è stretta e prigionera‘ and a deep, powerful use of chest voice at the end of the A section, for ‘Più leggera all’aure va‘, while in the B section she reflected the text in ‘Spiegherà più in alto‘ by rising up, and up. As the coloratura flickered around, she gave herself physically up to the music, bopping along to the point that I found myself grinning uncontrollably: she seemed to have energy fizzing out of every pore, and her playfulness echoed the aria. And there was a great a cappella cadenza at the end too. Normally you’d follow something quite elaborate with something a bit calmer, but not Prina, and for the final aria before the interval we had a real treat: Se in campo armato, also from Sofonisba, not an aria that’s known for being low key in any of its contexts. Prina was into the moment immediately, strutting as if picking a fight. The horns plunged in with gusto and Prina threw herself into a feisty and pugnacious performance, with a brief breath of calm in the middle for a prayer, but then straight back to the belligerent swaggering of the da capo. I couldn’t help but admire her. ‘She just goes crazy!‘ I wrote in my notebook, somewhat in awe. After the interval we had another sinfonia lined up, this time from Semiramide riconosciuta (1748). You’ve got to give it to Gluck: he wrote sinfonie that make you sit up and take notice. The central andante calmed the pace with snatches of a plaintive lone violin, but then we were back into the presto, full of horns and a spirited, hunting-style pace. I was struck anew by how much I liked listening to la Barocca: they’re smart, snappy and very classy. Prina reappeared to sing Sperai vicino il lido from Demofoonte (1743), which I knew from Philippe Jaroussky’s Carestini album – an aria which has a lyrical, gentle opening. Prina differs from Jaroussky (as you might imagine: she could eat him alive) in that, after the first couple of lines, she went absolutely berserk, with phenomenal coloratura even in the A section on the lines ‘Ma trasportarmi mi sento, / Fra le tempeste ancor‘. Needless to say, the energetic B section was overshadowed by that completely mental first bit. I just couldn’t take my eyes off Prina: she was acting as if she had a mosh pit in front of her, not the sedate rows of the Wigmore, and it was rather fantastic. She followed it up with a rather gentler aria, Se tu vedessi come veggio from Ippolito (1745) – was she singing the role of Phaedra? I don’t know the opera; someone will correct me, no doubt. This aria lost some of its impact following the firestorm of Sperai vicino il lido, but even here Prina injected a bit of swagger alongside the gentle wheedling of the hopeful lover. The final instrumental piece took us forward into the reform era, with two dances from Act 3 Scene 3 of Gluck’s Orfeo. These were perfectly pleasant, but less transcendent than the earlier sinfonie: the first well-behaved, with a rather pretty minuet vibe, and the second with a bit more spirit to it. They felt like little more than an interlude until we could get back to the main business of the night; and that recommenced with another aria from Semiramide, whose title – Tradita, sprezzata (‘betrayed, disdained’) – was enough to indict that we were in for another bumpy ride. And so it was. A gentle, almost plaintive beginning suddenly erupted into fury, before dwindling down to a raw, agonised B section and ramping up the fire again for the da capo. I do like my miffed princesses, but Prina’s princesses aren’t merely miffed, they’re absolutely livid. The last item on the agenda was from Ezio, which Prina recorded with Max Cencic, Ann Hallenberg and Alan Curtis back in 2011. Singing the title role, she now gave us Se fedele mi brama il regnante, a curiously double-edged aria in which Ezio pledges his loyalty to the emperor, while offering a proud and prickly subtext. Again Prina unleashed her bubbling coloratura and showed off her chest voice again in the B section, where she slipped down to the depths at the end of ‘Se il rispetto diventa furor‘. There was, predictably, a dramatic and suitably fiery finish to the da capo and another a cappella cadenza. The crowd roared, honestly, and I can well understand it. Prina had given us a remarkable show and, bowing to the applause, she agreed to sing an encore: I thought it was another piece from Ezio, but all I caught of the title was the last two words – ‘si spende‘ – and I can’t find that track on my CD. Nevertheless. It was another swagger-aria, with a bit of duelling with the horns, and a warlike fanfare quality which brought further cheering when she was done. I sympathise with those who can’t warm to Prina’s voice. Sometimes I can’t either, and I can appreciate it has something of a ‘Marmite’ effect. But I think one has to evaluate the recital on the strength of the overall performance and, by Jove, she gave it everything she had and almost took the roof off. I do hope she comes back again or, even better, that we’ll one day have the chance to see one of her stupendous trouser roles on stage here in the UK. I also hope for more concerts from La Barocca, whose energy and crispness really made Gluck’s music shine. As usual, Dehggial has got there before me, so take a look at her thoughts on the recital over at Opera Innit? 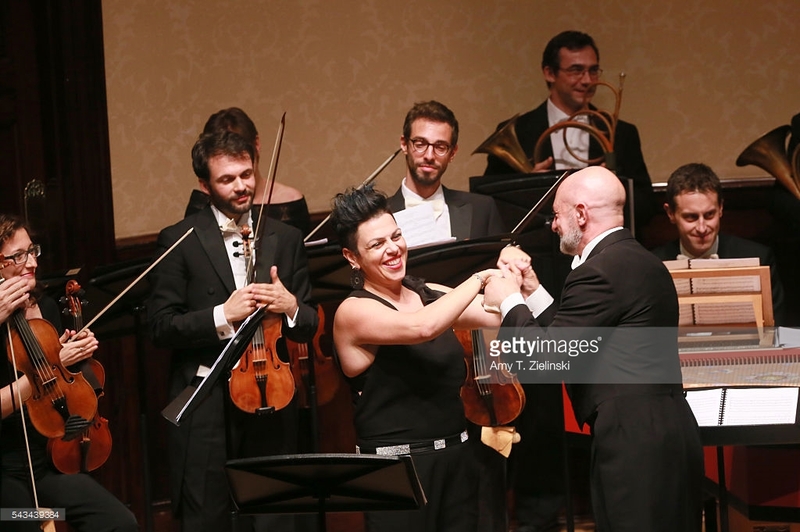 It will be very interesting to compare our reactions to Tuesday night with those to the recital being given on Saturday, when the Wigmore opens its doors to another of our great contraltos, Nathalie Stutzmann. 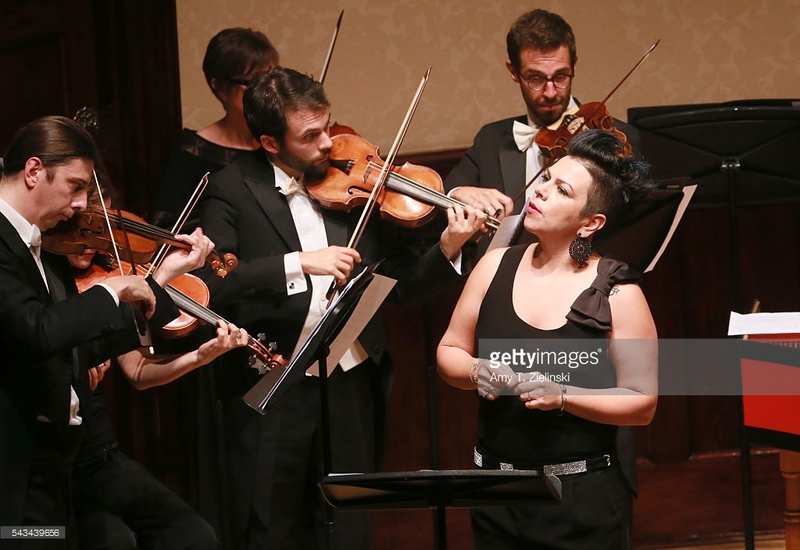 Pingback: Barock’n’roll from fearless Sonia Prina (Wigmore Hall, 28 June 2016) | opera, innit? the week of two contraltos! We are positively spoilt. What exactly is it about her voice that you find hard to take at times? It’s hard to describe. Sometimes I find it a little too husky for my taste, and as I said in the post, I sometimes feel that the flamboyance is a little overdone. I think you yourself said that the coloratura is more admirable for its passion than its accuracy at times. In my reference to Marmite, I was thinking of the very different verdict reached by the two critics who were in the audience with us: four stars from The Guardian; two from The Times. If I were to give a star rating (which I don’t for recitals because it can feel a bit personal), it’d be closer to The Guardian of course. oh, yes, I’ve always thought she’s bold to have made a career in this repertoire with that take on coloratura 😉 but now that I think about it, I really liked her in Rossini, (in one of the few interesting 19th century female roles). I need to listen to that again, specifically to check on the coloratura. I see, the huskiness. Wouldn’t you say Stutzmann is husky as well? 2 stars? That’s quite harsh but he was probably after something very different. I’m surprised, though, because she’s not an unknown quantity. Maybe critics need to reach their quota of recitals a months? I wonder how it works, I’d find it very difficult to watch (and then write about!) stuff I know I’m not into. Different huskiness. Stutzmann is husky in a warm, velvety kind of way; Prina is a little harder and raspier. But I want to emphasise that a lot of the time I really *do* like her voice – I was just trying to make the point that it’s her performance which really made the recital so amazing. Yes, no doubt about that, she’s a performer through and through. it’s interesting, though, because though I immediately liked Prina’s voice, I neede a bit of adjustment with Stutzmann. We’ll find some cough sweets for you if you need them! I got „directed“ here from Dehggial’s post on this recital and how nice to read a second impression on this concert! Your account makes me all the more regret that I missed that, it must be a truly wonderful evening! Regarding the controversial aspects of Prina’s voice I have the impression, that to some extend this may also be her conscious choice of interpretation, since in the more gentle parts she can be very delicate, as you describe, and she is certainly not a singer who would make compromises to sound more beautiful. I also enjoyed your reviews on the Artaserse and Partenope DVD recordings, thank you, it is not easy to find discussions on such rarer works.